“Everybody’s working for the weekend,” famed poets Loverboy once said. And sometimes on the weekend. We work – too much – and we save what we sow from our weekday grind – not enough – to use to unwind. We use sports, hiking, or art for an escape. Or music. And as our escape, we pour our passions into this outlet as much as we can. We become “fans” – fans of the opera, fans of the local sports teams, fans of a band that we follow around the country all summer. As passionate people, we need passionate applications. 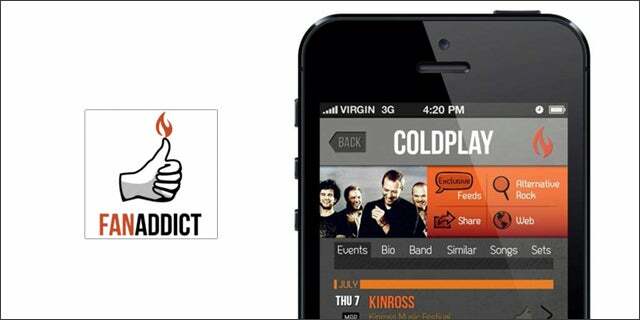 FanAddict is that passionate app that music lovers can rely on to be as crazed as they are. FanAddict allows users to track and follow their favorite musical artists as well as discover new artists. Users can search by genre, artist, city, and venue to discover and engage with music. FanAddict takes user engagement one step further by allowing users to create scrapbooks and journals. Photos and notes can be compiled within the application, so users can store their past music experiences in the same application that they can use to search and find their next music experience. As the name suggests, music fans take their music seriously. It is not just something to do, it is part of our identity. It is something that makes those 40-plus-hour work weeks worth it. If you care that much about music, shouldn’t your music app? FanAddict was a showcased startup at our Tech Cocktail Kansas City mixer.